Welcome to the first dev blog post in 2019. I hope, that everyone had a great new year holidays and now ready for the new awesome stuff. More than one month ago, we’ve added a pricing page to the website. 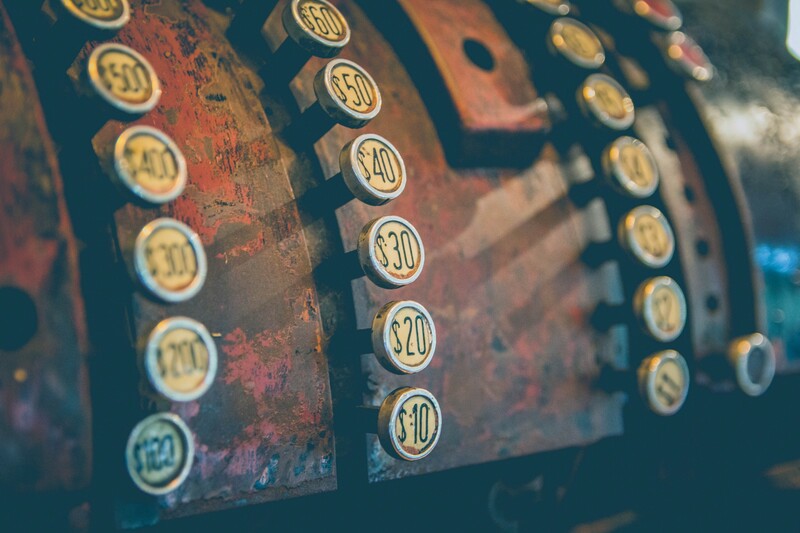 Choosing a right monetization model is a key to the startup’s survival. Unlike almost all test case management systems, we have decided not to use a pay-per-seat solution. This model doesn’t correspond with our beliefs, that the good software should help people make their work better and faster without overwhelming company’s budget. 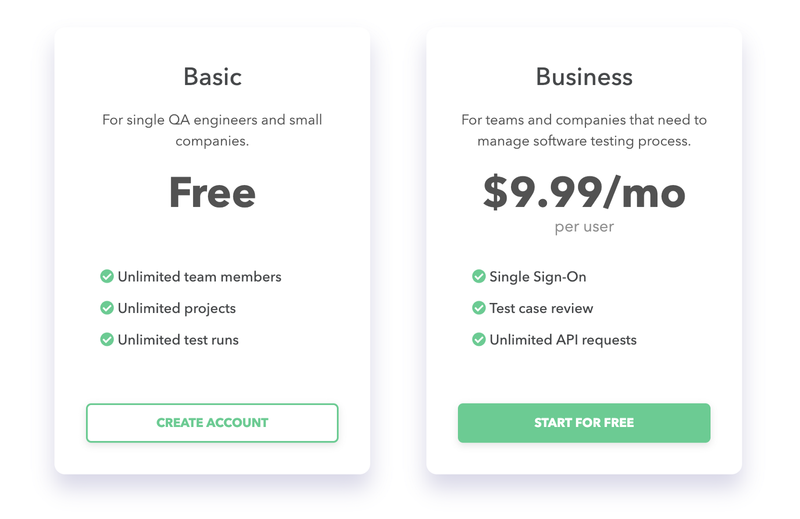 You can see the difference between plans on the pricing page. We’ve received a lot of comments, that current test plan creation process is not user-friendly and the purpose of test plan in Qase.io in some cases is useless. You create test plan (for example regression) and select test cases included in it. You create a new test run and choose test plan with predefined test case list and start it. Sounds logical, right? But now imagine, that you want to run a regression for a specific release and test new features added in this release. In the old scheme, you used to create two runs (regression and new features) or edit the existing test plan by adding new features and run it. Not so cool, right? You create test plan as usual by selecting test cases in the new widget. Also, you can assign people directly from it and save in plan. You create a test run. The same widget is here, so you make absolutely custom. Choosing a test plan will update a wizard with a predefined test case list (including people assignment), which saves a lot of time. Assigned test cases in the run are visible only for the person for whom they belong to. All team members see in run unassigned test cases. When they open some unassigned test case in the wizard, it becomes assigned to this person. 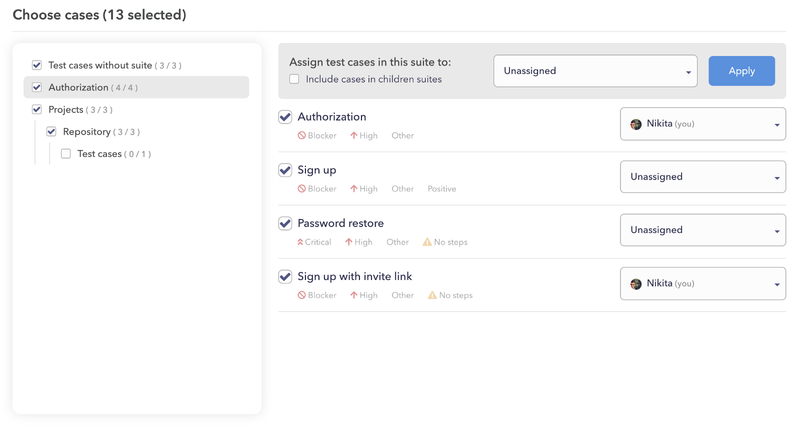 You can re-assign test case from dashboard page using the dropdown menu. You can choose a default assignment during test run create and all unassigned test cases will be attached to the selected user. We have added a test suite tree on test case repository page. It appears if you have more than two test suites in the project. It is used for fast navigation in large projects with dozens of suites and hundreds of cases. A simple feature, that saves a lot of time. You can find duplication button on test case preview block in the repository. Awesome feature, if you want to share test run report for a person, who is not registered in Qase.io. Public report page looks similar to test run dashboard but excluding sensitive information and links. Here is an example of such a report. Once you open a test case in a run wizard, time tracker starts counting the time you spend on a current test case. Once page open, it will continue working and stops only when you close the page. 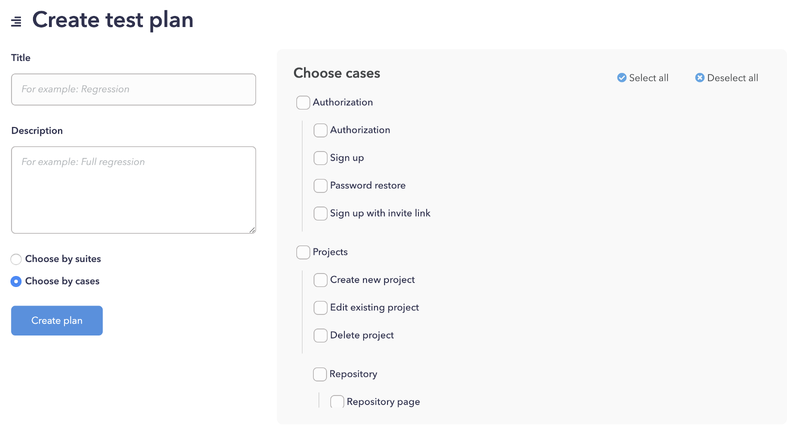 After submitting the result of test case check (success, failed or blocked), it adds information about total time spent on specific case and updates total time spent on the whole test run. We have made hundreds of small improvements and bug fixes. All of them are made with a help of our users and their daily feedback. We want to say thanks to everyone, who helps us make this application better day-by-day! You are awesome! Thank you! The most popular thing in user requests is the ability to change the order of test cases in suites using drag’n’drop. We’ve been working on it and wanted to release in 2018, but have met some performance issues with big test case repositories. Anyway, we don’t give up and, as I think, soon we will release it. Many users ask about kind of ACL for their teams. We are going to provide the first version of RBAC in next releases. Cool feature, that allows you to review all changes into test model from other members. It requires the first version of RBAC to be released. Coming soon. There is a small debt, left from the previous blog post: YouTrack and Slack integrations. Very soon they will be available for installation.